← Sweden and the Middle East Views Celebrates 1 Year Anniversary! You can guess who’s at the back of this conflict. Who would benefit by this slaughter? All the other Middle Eastern countries are in conflict with the same tactics used to divide these countries so the west doesn’t have to…let them kill themselves. It’s crazy. No mainstream media reports. Journalists killed if they do or sent to detention. Most people feel helpless. USA, UK and Israel are culprits who would benefit greatly. Oil, drugs and land grabs. Establishing western banks who steal money. I get so irate. Thanks for this wonderful post. Well I would be careful to use one of the many conspiracy theories in the Middle East to explain all of Iraq’s situation. There are many powerful people and groups in Iraq that are benefitting from the lack of rule of law and the silence from the international community. These people are also responsible for their actions and for putting their fellow countrymen in the viscious circle of violence. 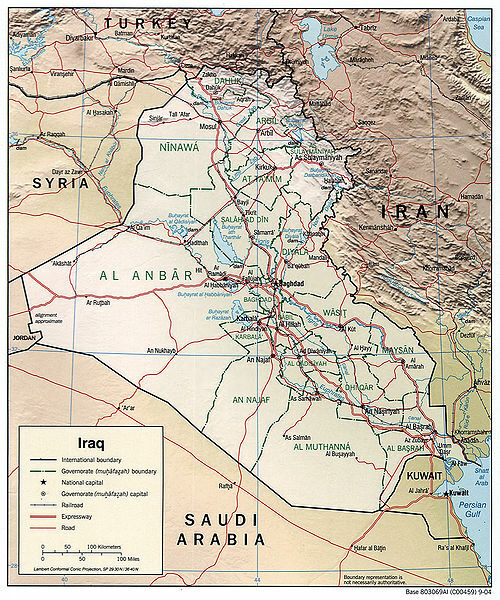 That US opened Pandora’s box was ofcourse the start of it all, but there are many responsible factions in the situation that is characterizing today’s Iraq.